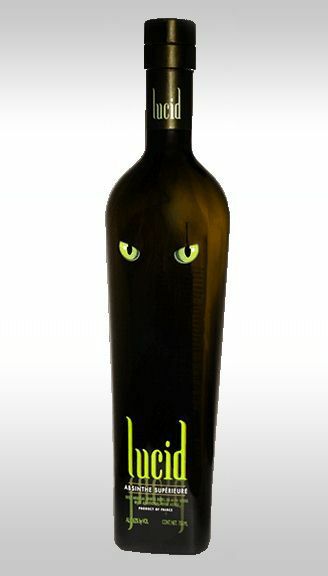 The first imported absinthe to be legally sold in the U.S after they changed the regulation in 2007. 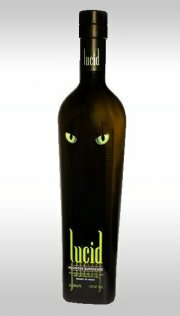 Made by Ted Breaux of Jade Liqueurs. It took me a while to get hold of a sample of this mainly because it sold out as soon as it hit the stores in the U.S. Once I finally got it, it took me forever to review it - such is life sometimes. Made in Saumur at the Combier distillery it's not that hard to figure out who's the maker of this - it's Ted Breaux of the infamous Jade Absinthe line. First guess is that this will be a good absinthe and certainly a good thing for U.S based absintheurs to be able to get in the local liqour store. To tell the truth, the Lucid was a bit disappointing given the expectations and comparison to other products coming from Jade, but I still think that it's a lot better to have this in stores rather than some vile window-washer-colored artificial "absinth". Anyway, the Lucid lacks the nice vibrant colors I'm getting used to from some of the Jade absinthes. It holds a much browner shade of green and isn't as pretty. At first it presents a nice enough aroma but this is sadly quickly overpowered by a punch of alcohol and some simpler notes of pontica and anise. There's a scent of wormwood but not quite the same distinct scent as I've been getting used to from other brands both from Jade and others. After adding water to the Lucid the aroma shows a slightly better floral character and hints of melissa and a minty touch. The water turns the Lucid into a nice thick completely opaque drink with a light green color. The brownish shades are not at all as visible and the color is nicer now. Tasting it presents a rather full mouth-feel which at first is quite nice but ends in an odd dry finish. The expectations I had from the aroma are carried over in the taste - it's nothing very special really. Quite simple, sadly but there are certainly some bits and pieces in there that does fall into place it's just a shame that those pieces aren't the dominant parts of it. Given the credit that it's the first U.S available authentic absinthe since 1912 it has a place in absinthe history. I just think it's a real shame that the expectations on it, given the name of the maker, couldn't be fulfilled. Much of that could probably be attributed to Viridian who in the end are the ones holding the final word on taste and all but I would have loved to see one of the Jade absinthes as the first U.S available absinthe instead.